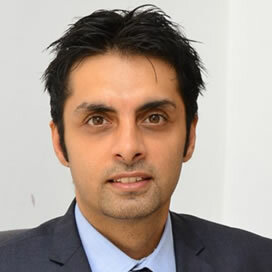 Kshitij Gheewala has over seventeen years training and management, consulting experience, advising and coaching clients in the UK, France, USA, Uganda, Kenya and South Africa. Kshitij has served as a senior trainer across a variety of fields. These include: HR , leadership development; team building, motivational speaking, staff performance, conflict resolution, performance training, strategic planning, personal productivity, change management, organizational transformation, diversity management, strategic planning, communications, organization design, coaching and mentorship, recruitment and selection, and staff development. Kshitij is a professional trainer who has developed and delivered capacity building programs that have impacted over 500,000 people. He has headed the leadership and coaching service line in Capgemini, London, as well as the organisation design training service line at the Chantilly University. In addition he was a senior trainer at the Accenture University in Chicago and has been involved in a number of train the trainer programs across the UK. Kshitij is an experience project manager, having recently been the delivery lead for the implementation of UGA 257 and 270 contracts for BTC. This involved co-ordinating activities of a team of consultants for the development of organisational assessments and capacity development plans for 48 beneficiary organisations across Uganda. Kshitij managed a team of 5 senior consultants providing them continuous support, he delivered train the trainer sessions to align around delivery of the project. His deep business experience is complemented by a firm theoretical grounding achieved as part of his MSc in International Business and Finance, his British Psychological Society Certificate in Selections and Assessment as well as a 4 week residential course in Organizational Architecture and Change Management at Oxford University. Paska is an HR specialist with over 6 years experience in training facilitation and delivery, training content development and HR systems strengthening, facilitating team building retreats, delivery of assessment centres and recruitment. His experience ranges from HR consulting, HR manual development, recruitment and selection, organisational development, management of training and team building retreats. Paska holds a Post Graduate Diploma in Human Resource Management and Development, a Bachelor of Arts in Economics and a certificate in Public Adminstation management of Makerere University. 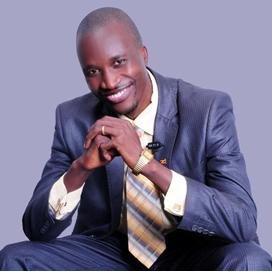 He is currently pursuing a Masters Degree in Human Resource Management and Development at Uganda Technology and Management University. Paska has gained broad experience, having worked on a number of projects in the HR field including; facilitation of team building retreats for Dan Church Aid Uganda, Dan Church Aid South Sudan, Abacus Paretal Drug Limited, Uganda Health Marketing Group, SUNRISE, Trocaire, GAPCO Uganda, HR for non HR training for Toyota Uganda. He was also responsible for the implementation of the Kiboko Group - HR Health Check & Organisational Diagnostic in 2015. Joan is an HR practitioner with over 5 years experience in Human resource management, Events management, training facilitation and delivery, training content development and HR systems strengthening, facilitating team building retreats, delivery of assessment centres and recruitment. His experience ranges from HR consulting, HR manual development, recruitment and selection, organisational development, management of training and team building retreats. Joan has a bachelors degree in Human Resource management and is currently pursuing an masters degree in Business administration. Rehana is an experienced event manager, with skills in logistical planning, report writing and training co-facilitation. She has strong project management skills and an understanding of organisational development issues within the Ugandan context. Rehana Munshi is an HR specialist with over six years of in Human resource management training , material development and HR systems strengthening. Rehana has an experience in working with different sectors such as health, retail, and education. She excels in developing and implementing human resource policies and manuals, developing and implementing Performance appraisal system, forms and guidelines. Her area of expertise also include institutional assessment and review, recruitment and selection, orientations, development of organsiational structure, competency based job specification, Grievance & Disciplinary process in alignment to labor law, Training needs analysis, Training plans, Team Building, role and responsibilities of an HR managers etc. She has gained broad experience in India and Uganda, having worked to build organisational capacity for the organsiations like Tata group, Sahyadri group of Hospitals, Charms Uganda, Vicland distributors, Kiboko group, Brighter Monday, Uganda Aids Commission, GAPCO, KMCC (DFID funded), and the SUNRISE project (USAID funded). To complement her organisational experience, Rehana has a Masters in Human Resource Administration from Pune University, with a specialisation on HR systems strengthening. 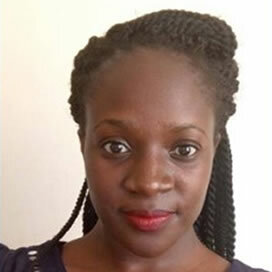 She is fully familiar with the Ugandan Labour laws and has been responsible for the development of a range of deliverables including the development of organisational HR health checks, strategy maps & performance management measurement tools, HR policies and procedures manuals, organisational structure and job specifications, training manuals. Additionally Rehana has deep experience in recruitment and selection, including administrating psychometric tests, designing and delivering assessment centres, and conducting competency based interviews. She has been responsible for the recruitment of over 30 roles in the last 2 years alone. 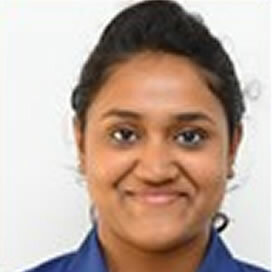 Rehana is an experienced event manager, with skills in logistical planning, report writing and training co-facilitation. She has strong project management skills and an understanding of organisational development issues within the Ugandan context. Samuel is an unrivalled Communicator with over 12 years’ experience as an Advanced Trainer, an Executive Coach and a Relational Mentor, building human capacity for performance excellence in public and private sector. 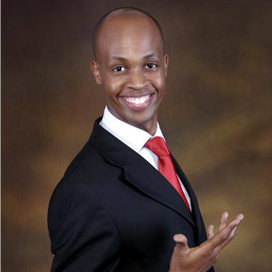 He is a Consultant in Leadership, Business, Education & Relationships and a Personal Development Author of 13 books. As a highly reputable Inspirer on national and international platforms, he has a record of delivering 98 stirring talks in 2012, 164 in 2013, 191 in 2014, 171 in 2015, 194 in 2016 and 97 high-impact presentations between January and early July 2017 - an average of 4 talks per week, for 5 straight years! He has authored inspirational books such as “You Will Manage: 7 Keys to a Life of Perpetual Victory, Unstoppable Success and Doing Impossibilities”, “Enjoy a Balanced Life”, “How to Effectively Manage Stress and Work Pressure”, “Leadership worth the Name: The 7 Deadly Statements Every Leader Should Avoid”, and “Fresh Apples For Single People”. His books are on Amazon.com and in more than 40 book outlets across E. Africa, Finland and US. He has served as a trainer in Public Speaking & Presentation Mastery; Managing Stress and Work Pressure; HR Diagnosis, Training Prescription; Capacity Building Implementation; HR Ethics, Social Etiquette and Professionalism; Work Life Integration and Prioritization; Staff Placement, Job specifications and KPI determination; Staff Induction; Peak Performance; Diplomatic Speech Writing; Effective Communication; Team Culture, Strategy Map; Giving and Receiving Feedback; Personal Administration; Time Management; Building Learning Organizations; Staff Recruitment and Motivation; Personal Productivity, Self-Leadership; Change and Transition Management; Cross-cultural relationships; Conflict Resolution; Training Trainers; Effectiveness and Success Habits; Social Media Inspiration; Identification of Training Needs, Content Development and Transfer of Learning; Personal Excellence; Leading your Boss; Boosting Personal Confidence and Assertiveness; Effective Meetings Management; etc. 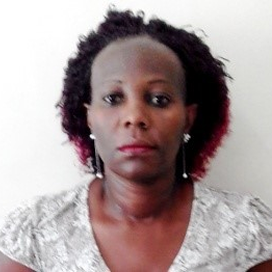 Gladys Muhama Mbabazi is a Consultant with the Uganda Management Institute (UMI) Kampala Uganda. She is actively engaged in promoting Training and Development Programmes and Inter-personal dialogue in various organizations in Kampala, with extensive training experience of 13 years. Her research area at PhD level include freedom of thoughts, conscience, and protection of religious minorities especially children as well as the impact of religion on women’s empowerment and gender relations in Africa. She Holds a Bacher’s degree in Tourism Management from Nkumba University Uganda and a Master’s degree in Human Resource Management from Uganda Management Institute Uganda. Gladys has served as a senior trainer in many organizations covering a number of fields including human resource management, staff motivation, effective communication, problem solving, decision making, stress management, time management, effective conflicts management, effective supervision delegation practices, emotional inteligenge, interpersonal relationships at the work place, team building, Leadership and management, good governance, knowledge management, coaching, mentoring and counselling skills. Gladys is a professional trainer who has developed and delivered training content for a number of programmes and curriculas. She was the lead consultant in the development of the Human Resource Management Curriculam at UMI. She has trained and produced a number of effective Human Resource Managers, in both Public, Privant, Ciivil Society and NGO world. She was appointed one of the executive member of the Human Resource Managers Association of Uganda a body responsible for driving Human Resource capacity building programmes in the whole country. She is a Course Manager of Human Resource course at both Kampala and Mbale study Centre. Some of the HR modules are Job analysis and reward management, Managing human resources, Industrial relations, Training of Trainers, Human resource planning, and Organsiational behaviour . Ahmed Mutunzi has over 20 years experience, including general management training, leadership and governance capacity-building, institutional assessments, business development advisory, monitoring and evaluation, organisational development, training strategy, training needs analysis, project management, strategic planning and management, marketing, human resource management, entrepreneurship, monitoring and evaluation, research, operations and performance management, institutional analysis, change management, policy formulation, project planning, resource mobilisation, proposal writing and executive training for various private, public and non-governmental organizations. Ahmed is an experienced trainer, having recently been a senior trainer for the implementation of 270 contracts for BTC. This involved activities such as development of organisational assessments and capacity development plans for 48 beneficiary organisations across Uganda. Ahmed supported the organisations in verifying their performance improvement areas, conducting training needs analysis and developing training plans for the beneficiary organsiations. Ahmed has worked at senior managerial levels in various organisations. He has expertise in executing and building capacity in various managerial specialties such as: strategic and general management; effective delegation; employee motivation; organizational management practices and principles; Organizational and team leadership; corporate governance; effective interpersonal and communication skills; employee and organizational performance management and evaluation; result oriented management; management of organizational cultures; effective negotiation, lobbying and advocacy skills; and teamwork and team-building skills among other management related disciplines. 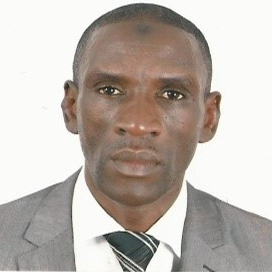 Ahmed has also served as a senior consultant on management at Uganda Management Institute for over nine years. While at this Institute, Ahmed engaged in training and capacity-building on various management-related disciplines. While at UMI, Ahmed coordinated and facilitated a project designed to promote the streamlining of the Milleneum Devlopment Goals in Institutions of higher learning of Uganda and Botswana. This project focused on diffusion of measures to mitigate global-wide concerns such as HIV/AIDS, Environmental sustainability; poverty, children’s rights; gender equality and food security among other. Ethan Musolini is, a human resource development consultant, trainer, motivational speaker and a success coach committed to enabling organizations and individuals to maximize their potential. A training consultant for British Council since 2004, he has successfully consulted for organizations such as Barclays Bank, World Vision, MTN, UN agencies, World Bank and Coca Cola among others. He holds a BA (Social Sciences) from Makerere University. He represented Uganda at the Common Wealth Youth Forum in 1997 in Edinburgh, Scotland. He has worked with The International Leadership Institute as the Deputy Country Director He has authored transformational books like Confidence and Self Esteem Secrets Exposed, Get Motivated in 30 Seconds or Less, Wisdom and Success Quotes (co-authored) and Public Speaking Secrets Exposed. He has produced 23 video based training programmes with emphasis on soft skills’ areas like exceptional performance, business and social etiquette among others. Ethan has developed, facilitated and delivered trainings in 25 countries for corporate and non-governmental sectors in the areas of leadership, communication, sales, personal development, stress management, public speaking, work life balance, customer service, confidence and self-esteem. Ethan has many years experience delivering team building retreats for a range of organisations, and he is renowned for his enigmatic and inspiring faciltitation approach. Since 2008, he has been writing a weekly column in Monitor Newspaper titled Succeeding whose sole purpose is to expose the potential within all of us and how to unleash it for greatness. He runs a programme on NTV titled 3 Minute Power Pump which appears five times a week with a goal to inspire individuals to produce results from a place of high performance and live the best versions of themselves. He is a Paul Harris Fellow Rotarian and a Vice Team Leader for Rotary Vijana Poa in district 9211 (Uganda and Tanzania) whose vision is to have “every youth working” by equipping them with employability and entrepreneurship skills. Ethan loves travelling, playing with his family, reading, celebrating the gift of life and having a good laugh. 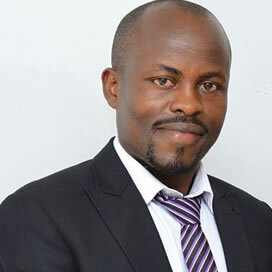 Emmanuel Kitamirike has over ten years of training, advisory, change management, and organisational development delivery and consulting experience with clients in Uganda. Emmanuel serves as a senior trainer for private, public and non-state institutions across several disciplines such as strategic planning and management, project/programme conceptualisation, development, implementation and evaluation, public policy research, analysis and advocacy, resource mobilisation and management as well as leadership and governance. Emmanuel personally delivered topics including strategic management, project management, public policy analysis and advocacy. In partnership with the British Council, Emmanuel was contracted to design and deliver a youth civic participation and economic empowerment manual for youth organisations across 14 districts in Uganda. Emmanuel also facilitates tailored trainings in resource mobilisation for non-profit organisations. While head of the Uganda Youth Network, he led an internal resource mobilisation capacity training programme for the organisation whose membership is over 45 organisations. The training programme included understanding the donor terrain, project design and delivery, financial accounting for non-financial managers. This process turned-around the resource envelope of the Youth Network from an annual US $ 50,804 in 2009 to US $ 1.2 million by 2015. Emmanuel is a programme management professional with technical knowledge and hands on training skills in project/development programme design, implementation and evaluation. 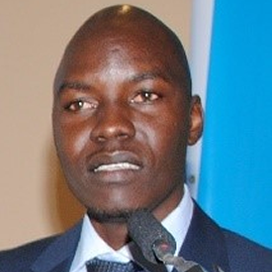 In the recent past, He has designed, managed and evaluated several projects including; the supported by the United Nations Democracy Fund, the Karamoja Youth Empowerment Project, supported by UNDP/Democratic Governance Thematic Trust Fund, Ours by Right – Youth Participation in Democratic Governance supported by the European Union and NIYETU – a youth economic empowerment project for Plan International. Emmanuel is also a public policy trainer, researcher and analyst previously engaged as a senior trainer for the National Leadership Academy for the module on public policy analysis and advocacy. He has also delivered policy training and analysis for the Office of the Leader of Opposition in Parliament, specifically focusing on the National Budget Framework Paper and the Ministerial Policy Statements.